October 9th (next Tuesday) is Opening Day of the 2018 Arizona Fall League. Tommy Watkins will serve as the manager the Salt River Rafters, a team consisting of prospects from the Twins, Nationals, Rockies, Diamondbacks and Marlins. Eight players from the Twins organization will be on the team and today, we discuss them and get their thoughts on the opportunity. Below, find out how they learned about their invitation and what they’re looking forward to in the AFL. Sure, he played for the Twins in the big leagues for a little while, but as a player, Tommy Watkins never had the opportunity to play in the Arizona Fall League. However, the 38-year-old former infielder turned minor league hitting coach turned minor league manager learned in late July that he will lead the Salt River Rafters through their Fall League schedule. It’s an opportunity that Watkins is looking forward to. “The opportunity to manage in the Fall League means a lot to me. The responsibility to coach our prospects, as well as prospects from other teams, is an honor. I am humbled that the Twins trust me with this role, and I plan to work tirelessly to exceed the expectations of the Twins, my fellow coaches and my players. Like the players in the Fall League, the managers and coaches are also trying to work on their crafts and learn from others. Watkins will be tasked with managing an entire team, but for the Twins Daily audience, you’ll primarily want to know which Twins prospects he will be managing. The Twins announced in late August that they are sending eight players to the Arizona Fall League. They are sending hitters Brent Rooker, Luke Raley, Travis Blankenhorn and Jaylin Davis. Four Twins minor league pitchers will also be pitching in the Fall League. They include RHP Griffin Jax, Adam Bray, Hector Lujan, and LHP Devin Smeltzer. Soon after Watkins learned he would be the manager, he was able to inform some of his Chattanooga Lookouts players that they would be joining him. 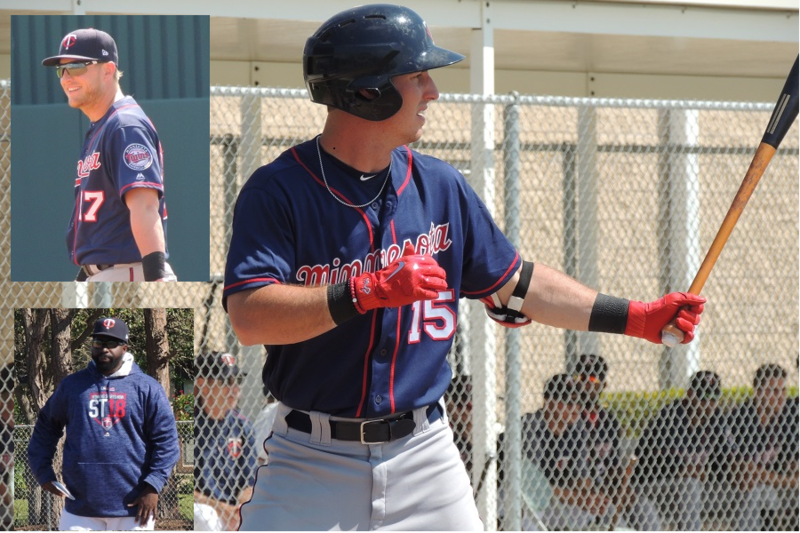 For the players in Ft. Myers with the Miracle, they were told by Twins minor league director Jeremy Zoll. When the initial rosters were announced, hard-throwing lefty reliever Alex Robinson was on the list. He had been placed on the Disabled List by the Miracle in late August with some shoulder issues. While the Fall League isn’t just about top prospects, it is a strong gathering of talent from around baseball. For instance, players from countries that have a Winter League are not able to participate without getting a waiver from their Winter League team. However, there are exceptions. Several years ago, the Twins got approval from Eddie Rosario’s team in Puerto Rico and he played in the AFL. Players are excited about the opportunity to play in the Arizona environment. But it is more than just a fun experience. It is an opportunity to showcase their skills, not only for the Twins but for the other 29 MLB clubs who will have coaches, scouts and front-office types at the games. 40-man roster decisions can be made on some players based on seeing something. Some players are sent to the AFL to work on specific things. Hector Lujan, the Twins 2017 Harmon Killebrew Award winner for the Cedar Rapids Kernels, is looking to work on a new pitch, but also continue to by a positive influence in the community. Devin Smeltzer was drafted as a starter and was a full-time starter in his first full season of pro baseball last year. He began the 2018 season as a starter as well, but when the calendar turned to July, the Dodgers moved him to the bullpen. All ten of his appearances with the Lookouts this year came out of the bullpen as well. So, it may not be surprising to hear what he wants to work on and work through. Brent Rooker started 46 games at first base in Chattanooga in 2018. He also made 44 starts out in left field. He’ll obviously continue to work on his offense, but he will also get more opportunities to work on his defense too. The Arizona Fall League’s final regular season game will be Thursday, November 15th. The championship game will be on Saturday, November 17th. The AFL season starts next Tuesday. Steve Lien will again be providing weekly updates throughout the AFL season, so be sure to check back often to see how this group is performing. Has Griffin Jax finished his military commitment and now free to play ball all year? Thanks, Seth.Looking forward to Tuesday. Are you going down this year? He found an out. He's training for the Olympics under some sort of military/athlete program and essentially is using his service time in the minors. No, but his job with the Air Force now is to train for the Olympics in baseball, so he does get to play all year. Nope. Not heading down there. I wish! Love seeing Blankenhorn, Rooker, and Jax get a shot in the AFL. Can't wait to see how they do, especially the hitters. Both had encouraging years and it will be interesting to see how they do after playing a full season getting some additional time. Will they be a bit worn down or has the short time off been enough to rejuvenate them? Either way some great opportunities here. What are the factors involved in choosing which players to send to the AFL? I have wondered about that also. Obviously, it's not our very best prospects that go there each year, at least not usually. Is it strictly a front office decision, or are some players specifically asked? Do any decline?